Giuseppe Penone, Fui, Saró, Non Sono (I was, I will be, I am not). 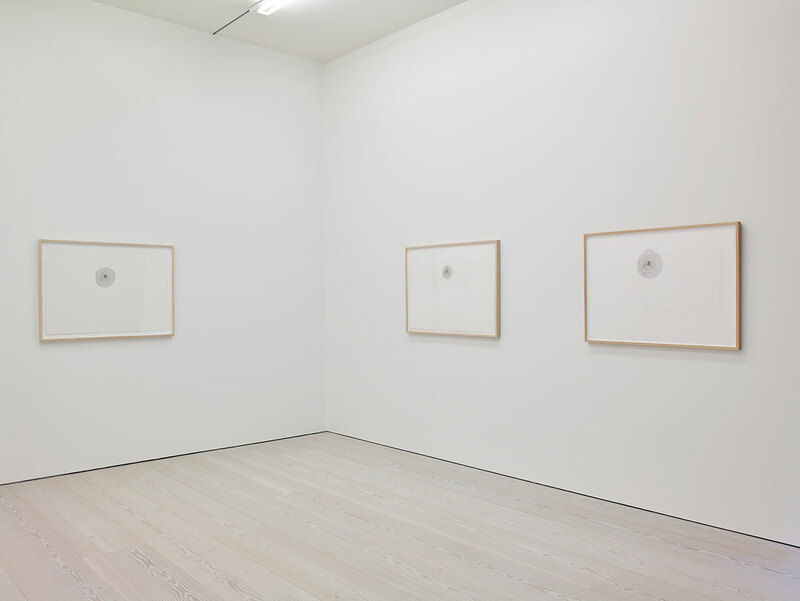 Installation view from Marian Goodman Gallery London. Courtesy the artist and Marian Goodman Gallery. 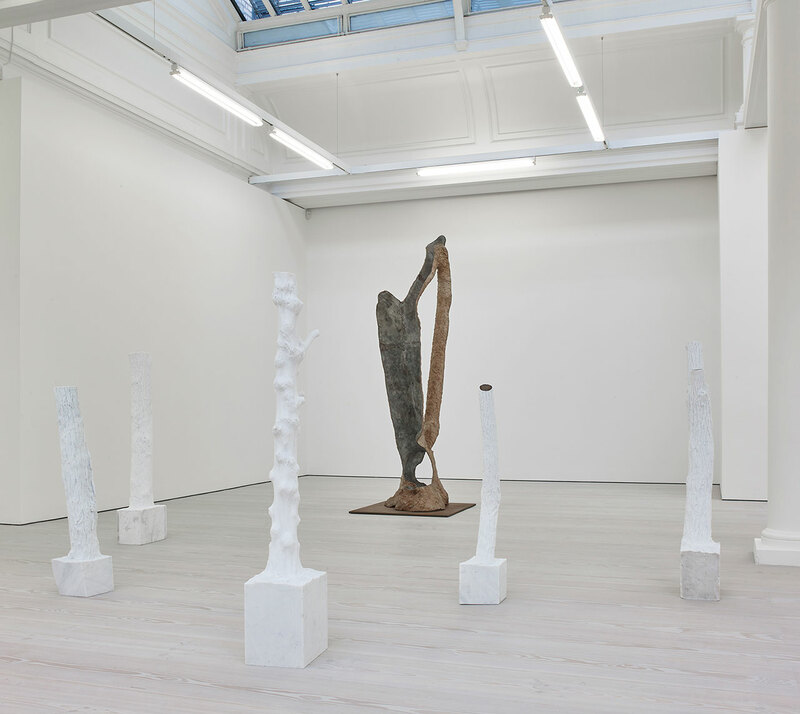 From September 8 to October 22, Marian Goodman Gallery is staging a double exhibition on either side of the channel, showcasing works by Italian artist Giuseppe Penone (b.1947). 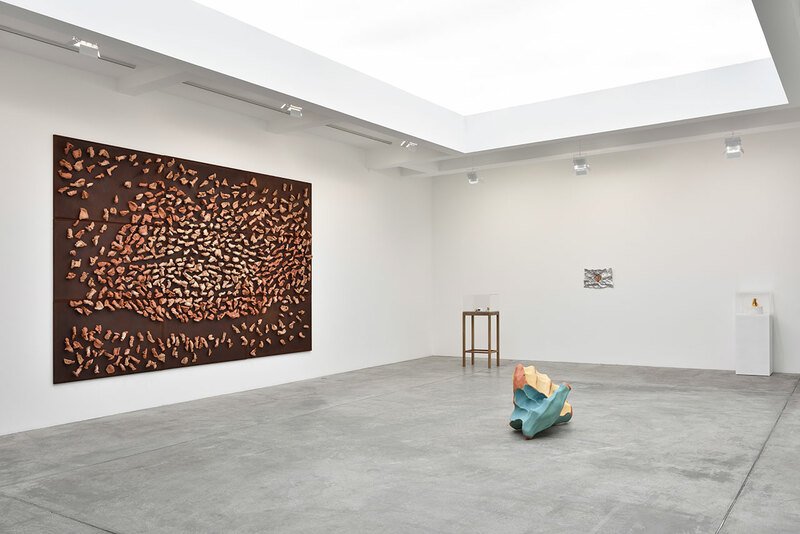 On view at the Marian Goodman locations in both London and Paris, the two exhibitions feature sculptures and installations of various sizes, and bring together the natural and the manmade through the use of found and processed materials. 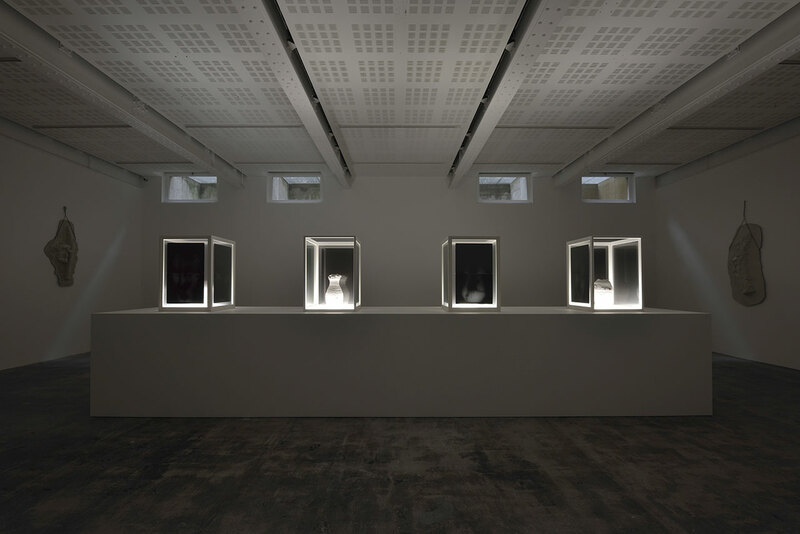 Like a pair of condensed poems, the titles chosen for the two shows set the tone: visitors in Paris read Ebbi, Avrò, Non Ho (I had, I will, I do not) while those in London are greeted by Fui, Sarò, Non Sono (I was, I will be, I am not), a play of past, present and future that creates connections between time, touch and existence. 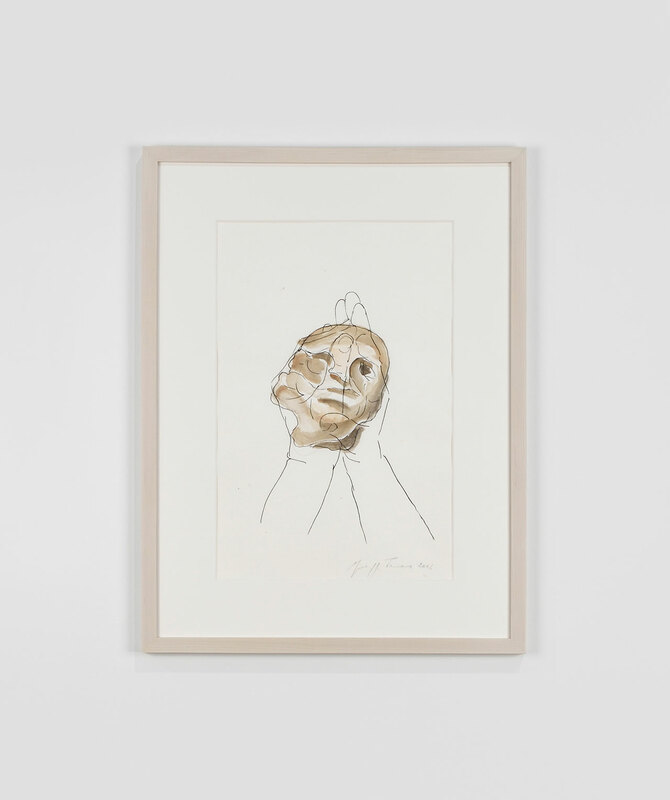 Dealing with the concept of touch both figuratively and literally, the double show shines like a pair of scissors that rotates on the same axis and is ready to close sharply on its elusive and soft subject matter. 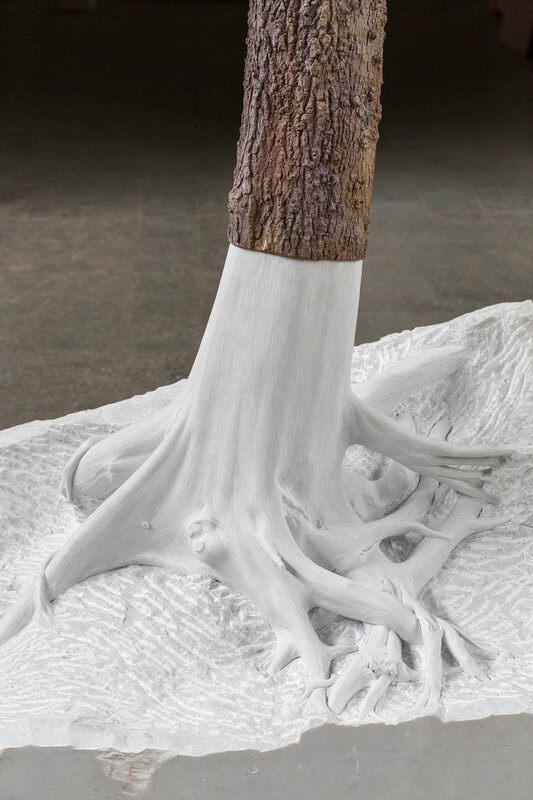 In the London exhibition, tree sculptures of various sizes made of bronze, terracotta and white Carrara marble dominate the space, their bark peeled off to partially reveal their smooth interior and roots. 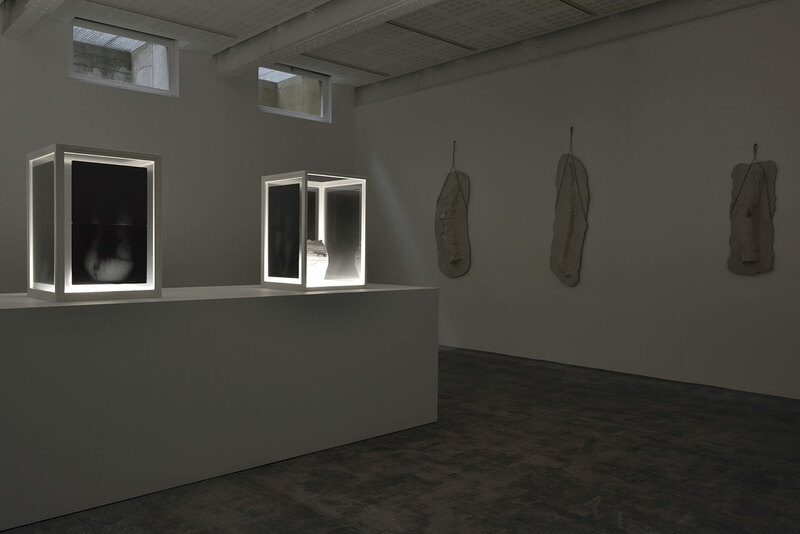 On the wall, a large set of 12 panels covered in sand and acacia thorns (Spine d’acacia – contatto, marzo 2005, 2005) create an image of what could be a trace of human skin, as if someone had kissed a mirror and then the artist retrieved that trace and magnified it. 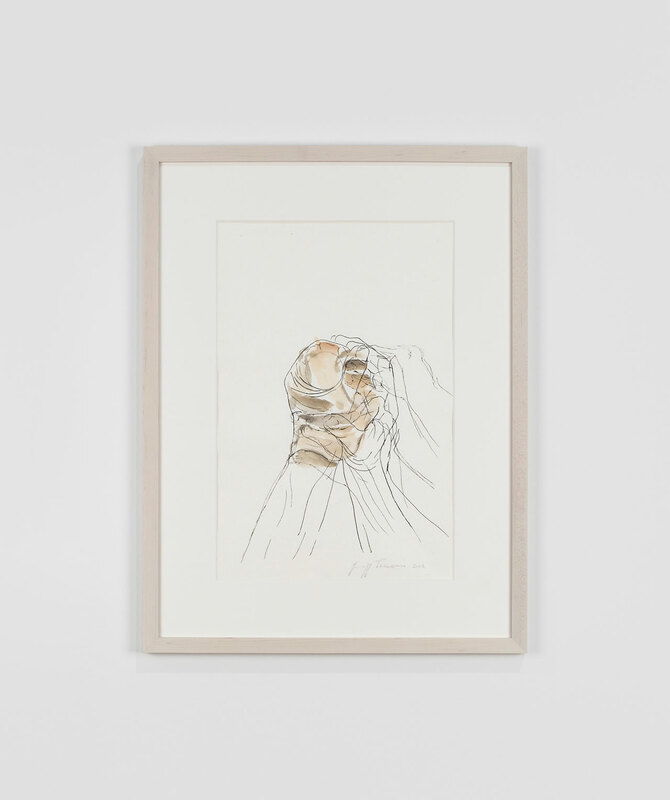 Here, Penone offers an entry point into the theme of touch through the imagery of skin, since touching is only made possible through it. The way he peels the tree trunks however creates a contrast: the tree bark is hard and dead while the human skin is soft and alive, yet they both contain and protect the sensitive interior of an organism. 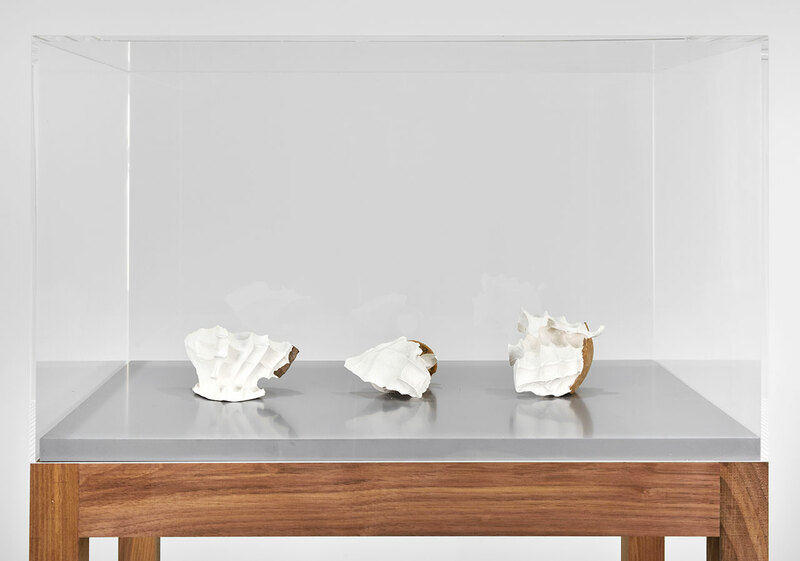 The marble parts of these sculptures seem sensitive and exposed like open wounds, and deter touch instead of inviting it. 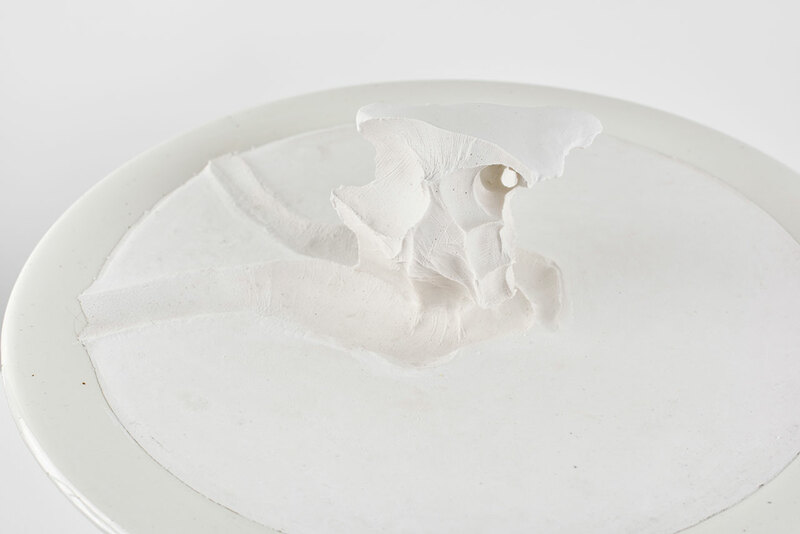 Giuseppe Penone, Indistinti confini - Macra (Indistinct boundaries - Macra), 2012 - detail marble, Bronze 383 x 112 x 96 cm, photo © Archivio Penone. Courtesy the artist and Marian Goodman Gallery, New York, Paris & London. 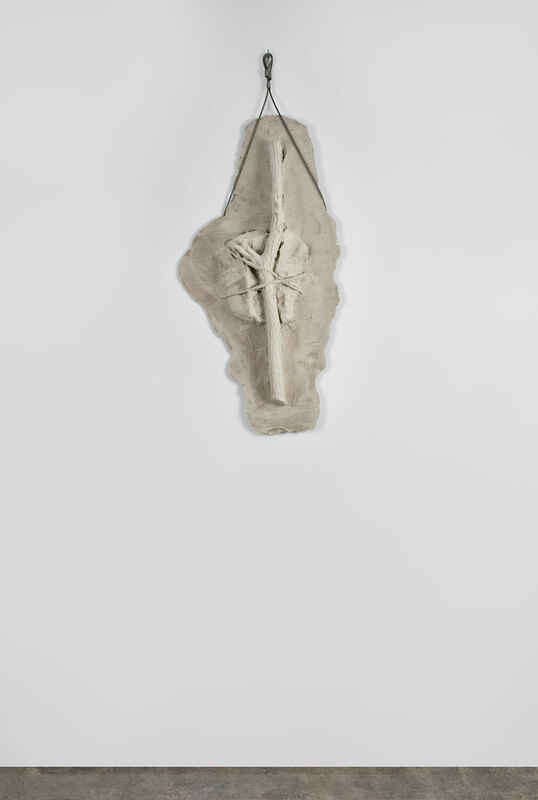 Giuseppe Penone, Indistinti confini - Macra (Indistinct boundaries - Macra), 2012 - detail marble, Bronze 383 x 112 x 96 cm, photo © Archivio Penone Giuseppe. Courtesy the artist and Marian Goodman Gallery, New York, Paris & London. 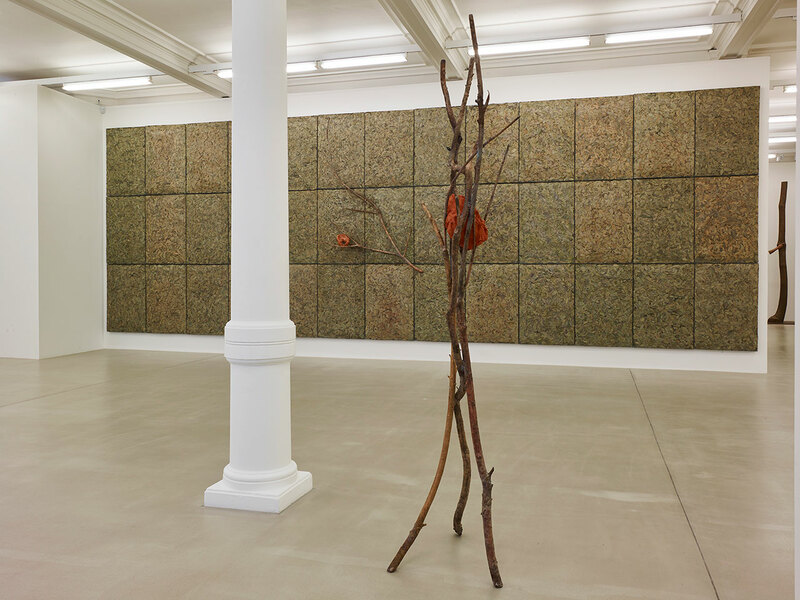 Elsewhere in the London gallery, the artist has installed an entire wall made of wire mesh cages filled with laurel leaves (Respirare l’ombra, 2008), as a way to bring the forest inside the gallery and fill the space with scent. 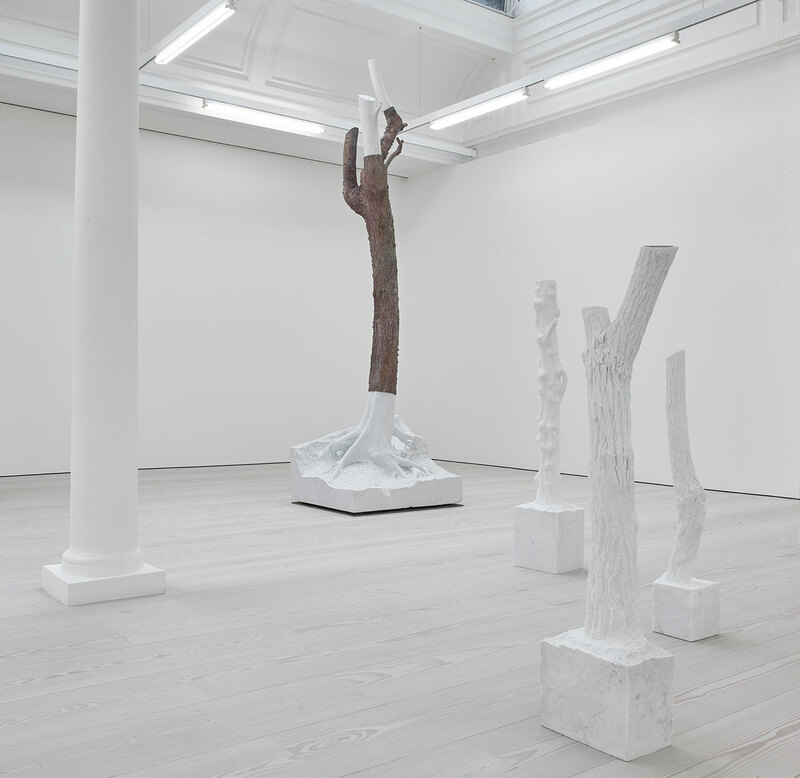 Also on display are three casts of a tree intervention: Penone attached a cast of his arm to a young tree, and allowed the trunk to grow around it, fixing it there permanently. 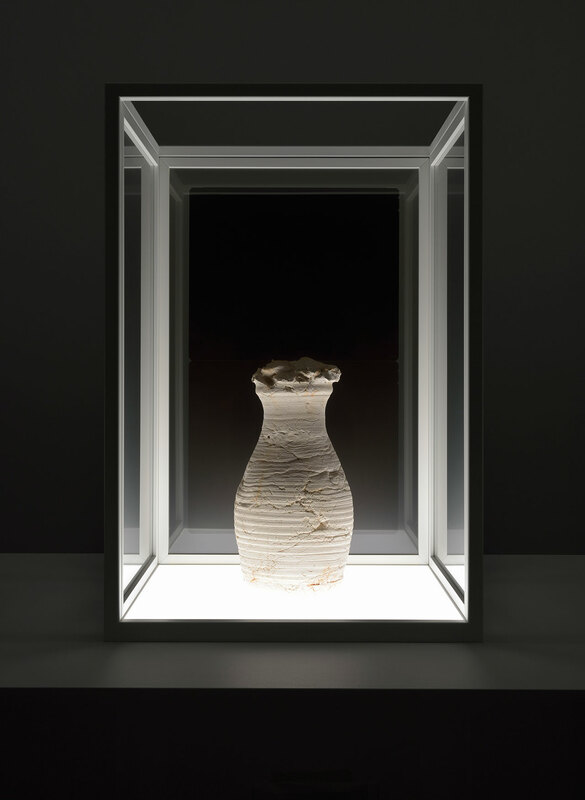 He then made three casts of the whole thing after six, eight and twelve years; in essence, the same three casts are being shown together here, an installation that makes time, growth and the presence of human in nature visible. 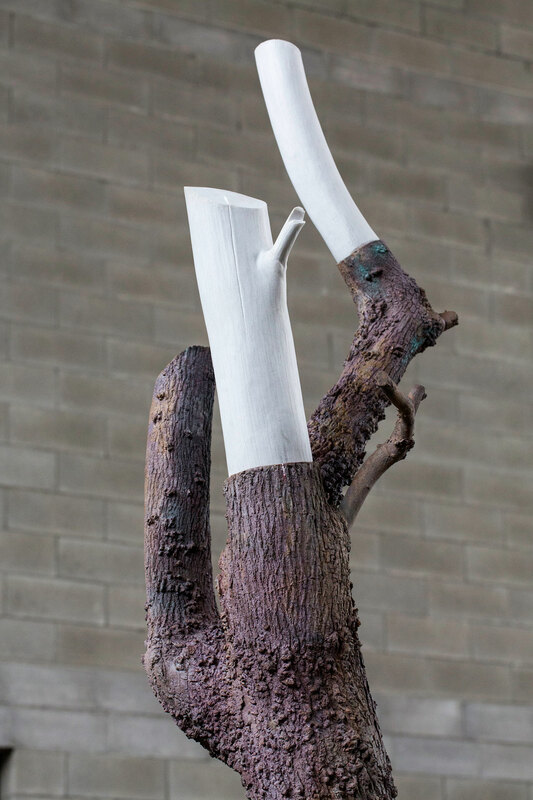 As Penone has said, “a form without a human gesture is a collective present; with a gesture, it is an individual present.” So what inserts the individual into the facelessness of society and the timelessness of Nature is human gesture, which, in this case, is embodied by the artist’s own hand. 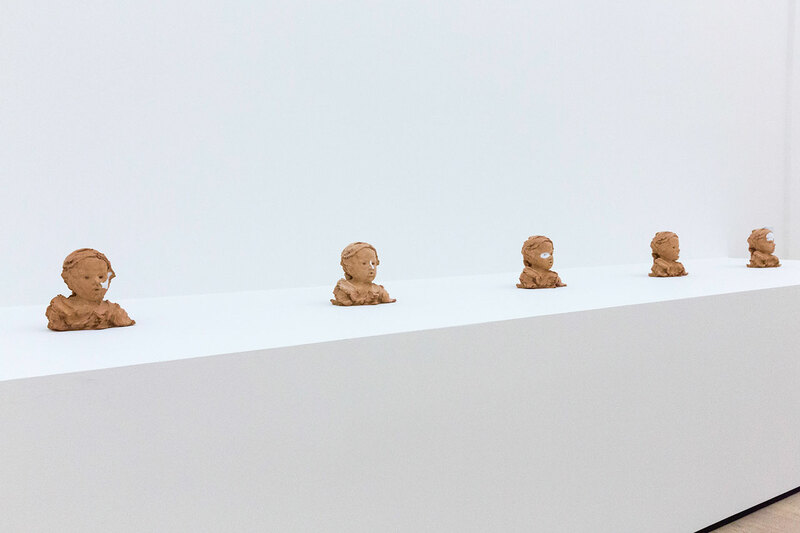 Giuseppe Penone, Corteccia, 1986, terracotta and enamel, 30 x 25 x 25 cm, photo © Archivio Penone. Courtesy the artist and Marian Goodman Gallery, New York, Paris & London. 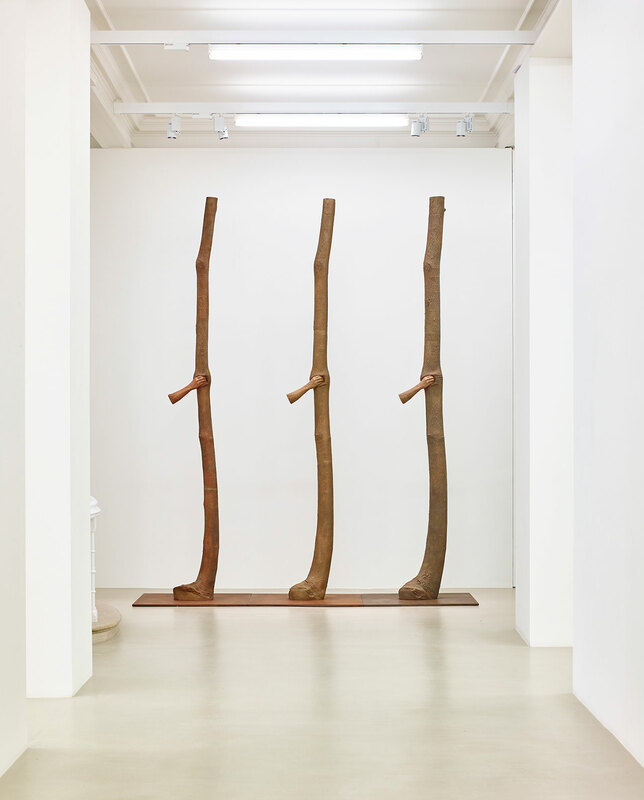 Giuseppe Penone, Corteccia, 1986. 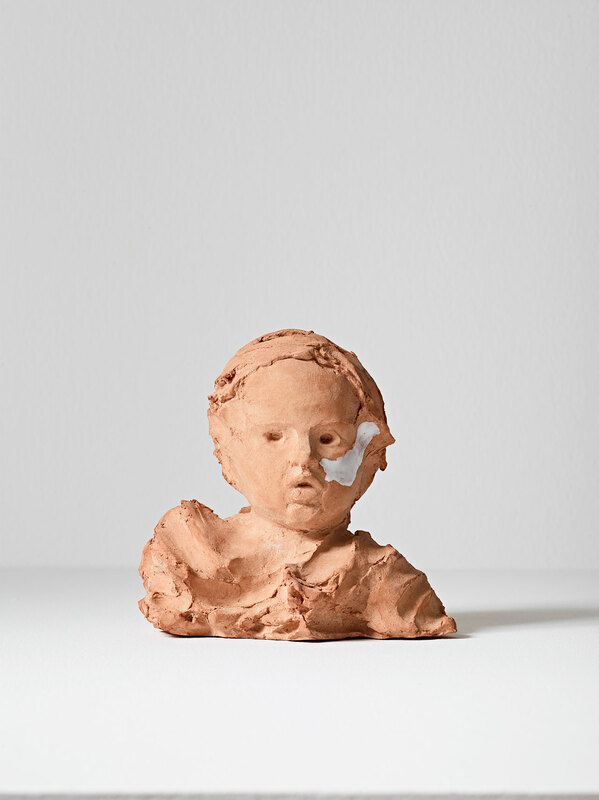 Terracotta and enamel, 30 x 25 x 25 cm, photo © Archivio MART / Carlo Baroni. Courtesy the artist and Marian Goodman Gallery, New York, Paris & London. 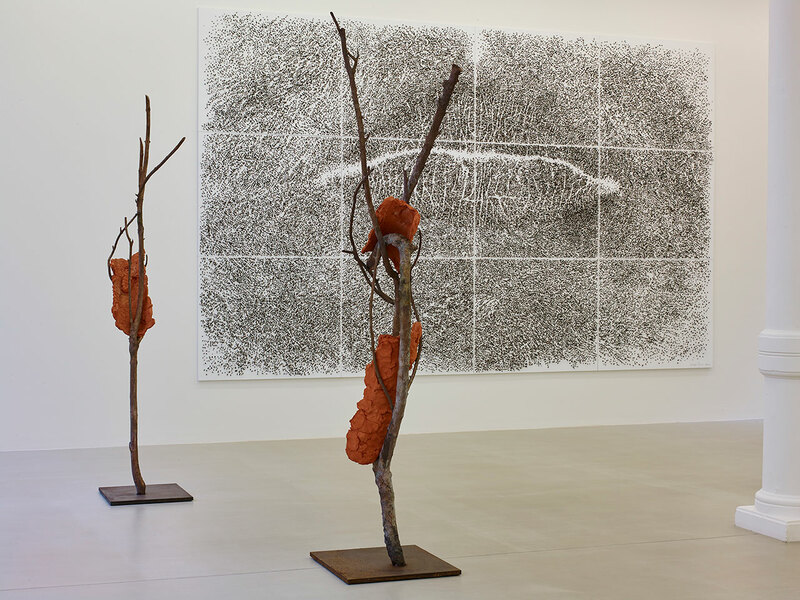 Giuseppe Penone, Propagazione, 2011. Pencil on vellum and ink on canvas, 300 x 400 cm, photo © Cathy Carver. Courtesy the artist and Marian Goodman Gallery, New York, Paris & London. 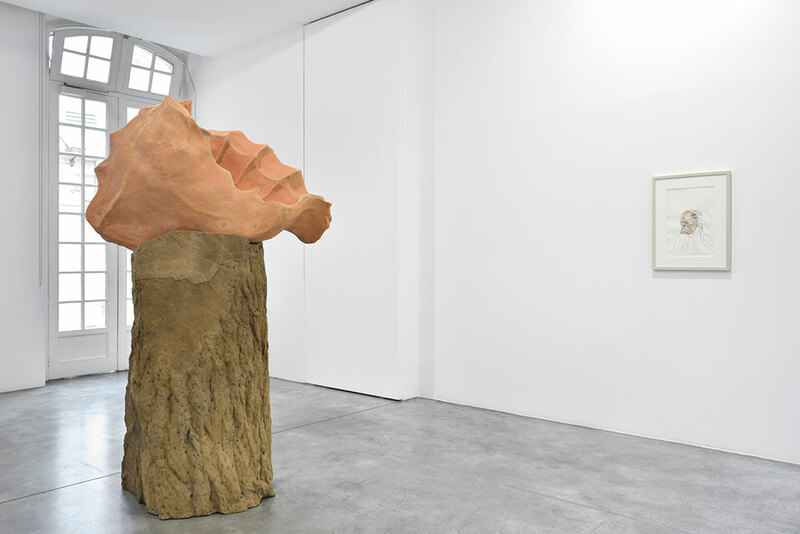 The Paris segment of the show takes this concept of the artist being present through his touch even further, with sculptural objects that literally bear the marks of the hand that made them. 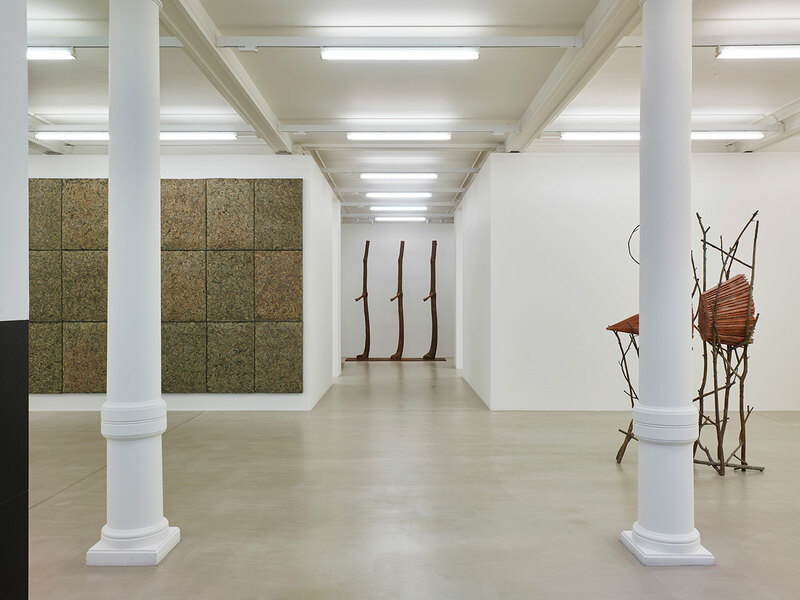 Fist-sized chunks of squeezed clay cover a 4.5-metre-wide set of iron panels (Terre, 2015), while enlarged versions of the same gesture draw attention to the finger markings, effort and movement that made these objects possible (Avvolgere la terra – il colore delle mani, 2014). 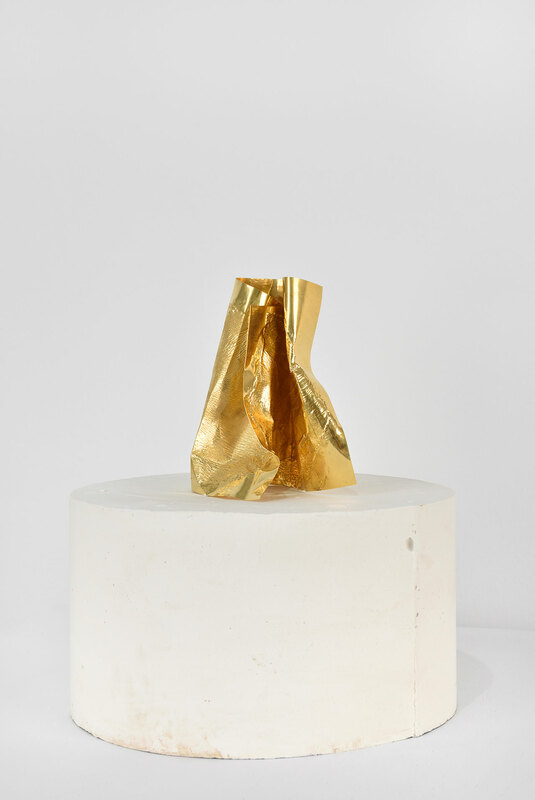 A simple sheet of pure gold was crushed and placed on a plaster pedestal (Spoglia d’oro, 2001), again as the remnant of an action that cannot be separated from the person who executed it. 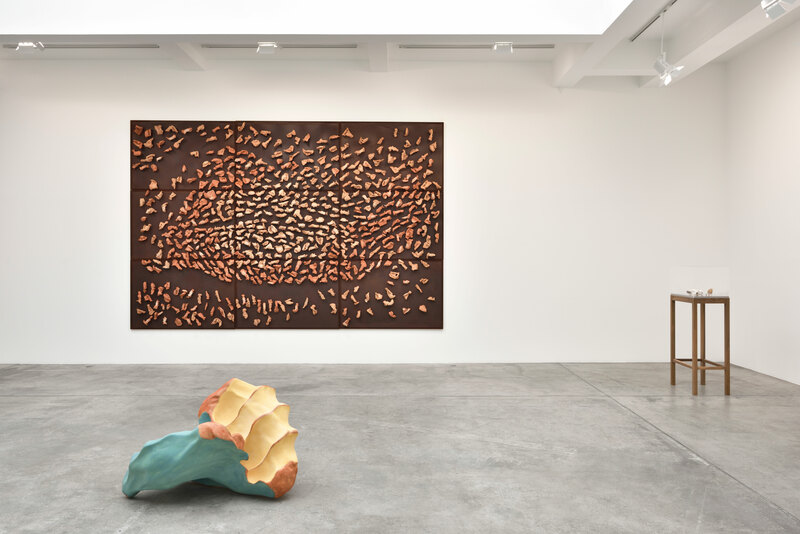 For Penone, his hands express the movements of the universe; therefore a plain squeezed ball of clay is the result of a process of cosmic proportions. In his own words: “in a simple handful of clay we have the synthesis of a universal form.” Thus terracotta, the handcrafted material par excellence since the beginning of humanity, becomes both the paper and the ink that document human artifice, in an intertwined dance of human and non-human, knowledge and mystery, action and stillness. Giuseppe Penone, Ebbi, Avrò, Non ho. 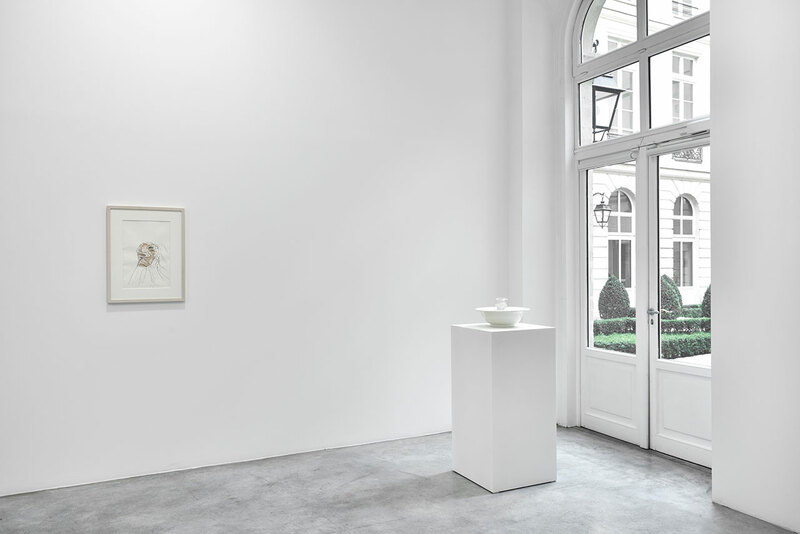 Installation view from Marian Goodman Gallery Paris (Ground floor). Courtesy the artist and Marian Goodman Gallery. 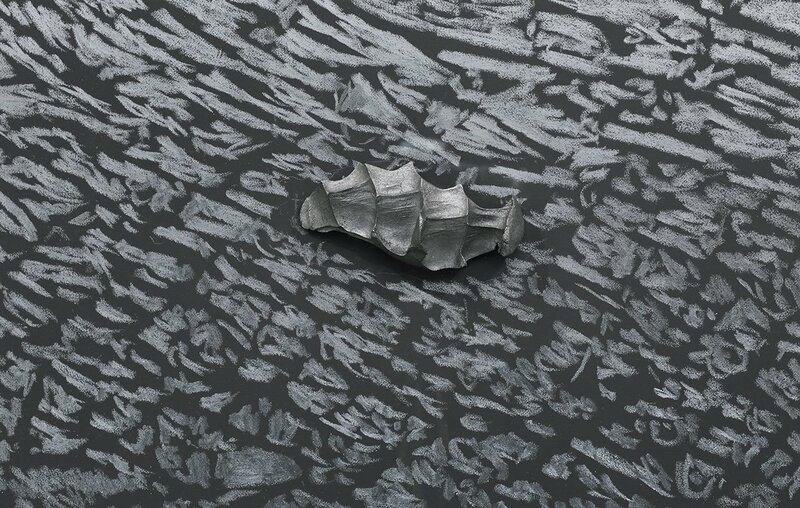 Giuseppe Penone, Pugno di grafite – palpebra (Handful of graphite –eyelid) (detail), 2012. Graphite on black canvas, graphite. 98 13/16 x 51 15/16 x 3 7/8 in. (251 x 132 x 10 cm). 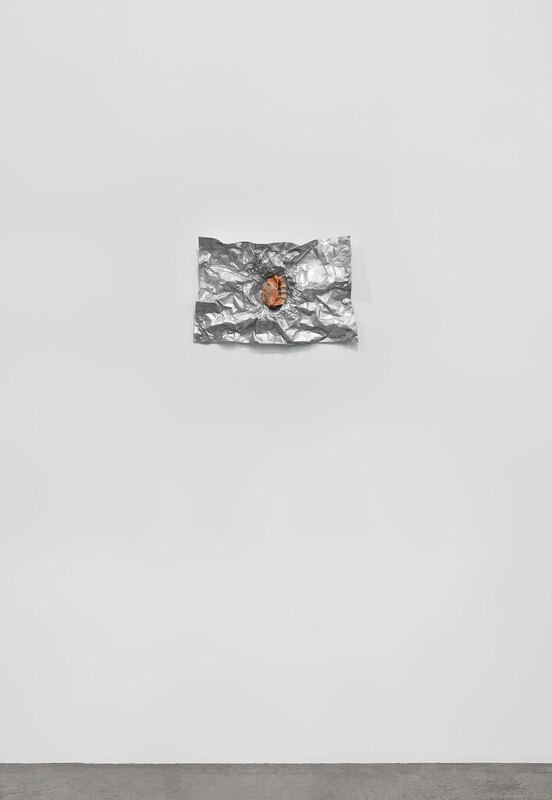 Plexiglas: 102 ¾ x 55 11/16 in. (261 x 141.5). Photo by Rebecca Fanuele. Courtesy the artist and Marian Goodman Gallery. 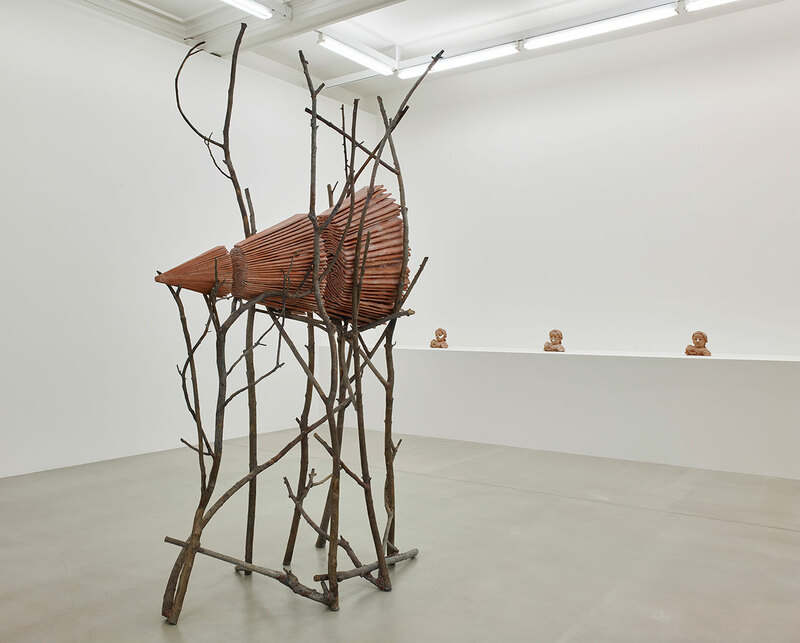 Giuseppe Penone, Terre (Earth) (detail), 2015, terracotta, iron. 300 x 450 x 15 cm (9 panels, each panel 100 x 150 x 15 cm). Photo by Rebecca Fanuele. Courtesy the artist and Marian Goodman Gallery. – the colour of the hands) (detail), 2014. Terracotta, engobe of quartz color. Approx. 32 11/16 x 47 1/4 x 27 9/16 in. (83 x 120 x 70 cm). Photo by Rebecca Fanuele. Courtesy the artist and Marian Goodman Gallery. Overall: 56 1/2 x 23 5/8 x 15 3/4 in. (143.5 x 60 x 40 cm). Photo by Rebecca Fanuele. Courtesy the artist and Marian Goodman Gallery. 17 11/16 x 23 9/16 x 3 7/8 in. (45 x 60 x 10 cm). Photo by Rebecca Fanuele. Courtesy the artist and Marian Goodman Gallery. 27 x 24.5 x 23.5 cm. 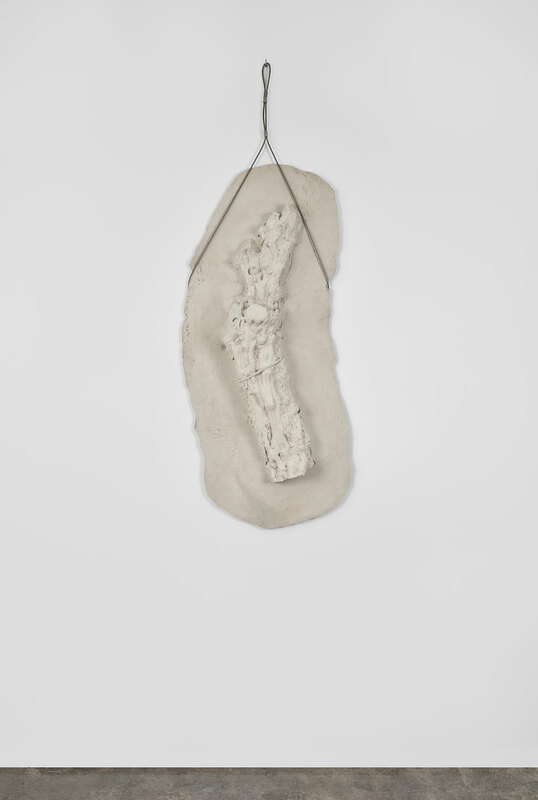 Plaster part : 13.4 x 24.5 x 23.5 cm. Photo by Rebecca Fanuele. Courtesy the artist and Marian Goodman Gallery. Giuseppe Penone, Ebbi, Avrò, Non ho. 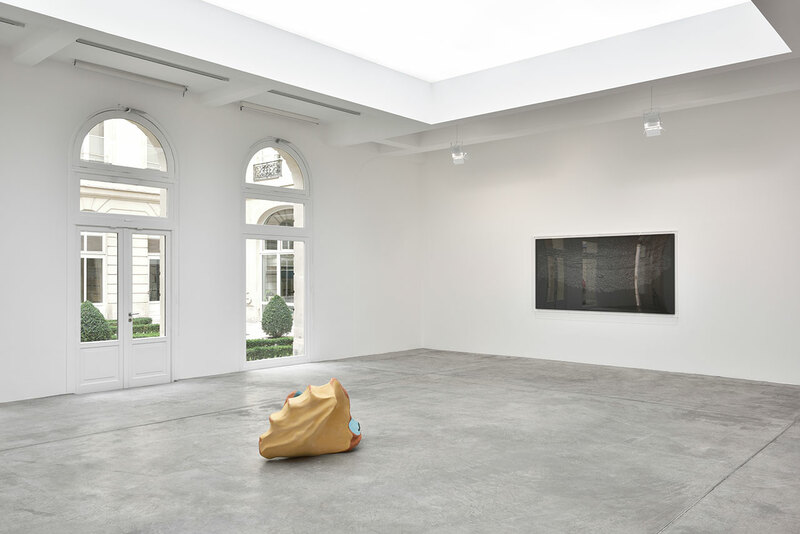 Installation view from Marian Goodman Gallery Paris (Show room). Courtesy the artist and Marian Goodman Gallery. 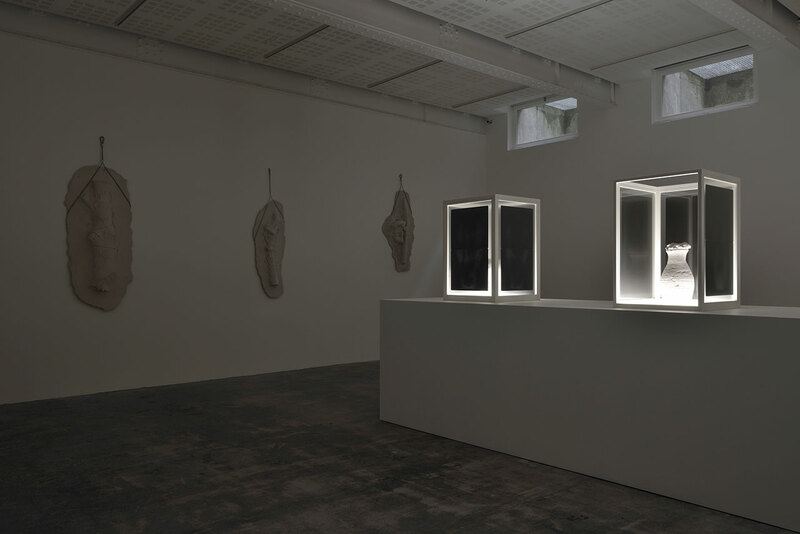 Giuseppe Penone, Senza titolo (Untiltled) , 2004. Watercolor, china ink and graphite on Japanese paper, 18 9/16 x 12 3/8 in. (47.3 x 31.5 cm) No. 18365. Photo by Rebecca Fanuele. Courtesy the artist and Marian Goodman Gallery. 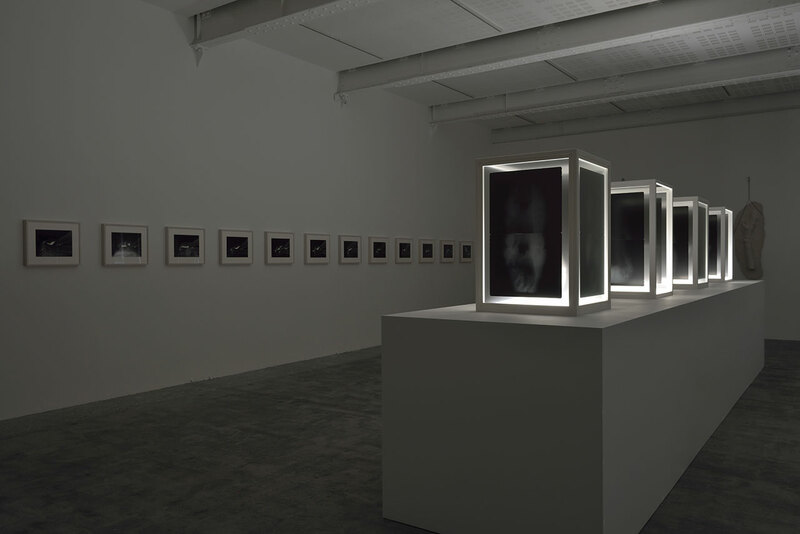 Giuseppe Penone, Senza titolo (Untiltled) , 2004. Watercolor, china ink and graphite on Japanese paper, 18 9/16 x 12 3/8 in. (47.3 x 31.5 cm). No. 18366. Photo by Rebecca Fanuele. Courtesy the artist and Marian Goodman Gallery. 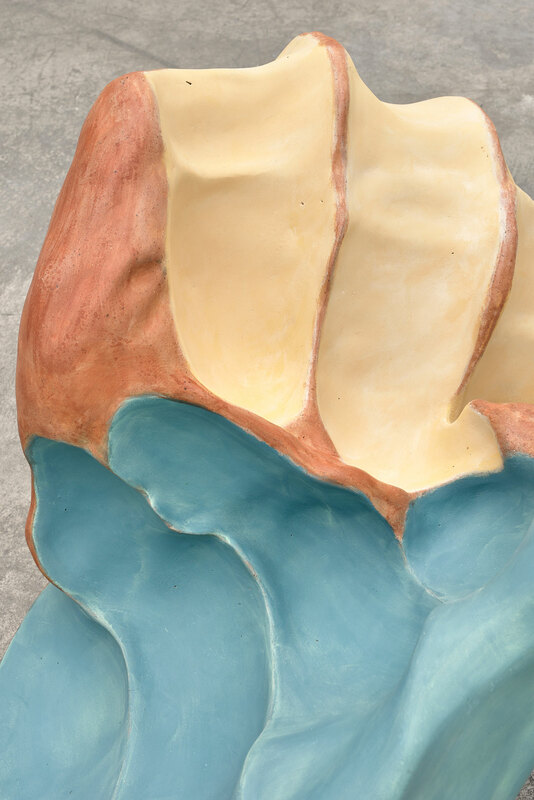 Giuseppe Penone, Vaso (Vase) (detail), 1986, plaster and terracotta enamelled, 20 x 40 cm. Photo by Rebecca Fanuele. Courtesy the artist and Marian Goodman Gallery. Giuseppe Penone, Ebbi, Avrò, Non ho. 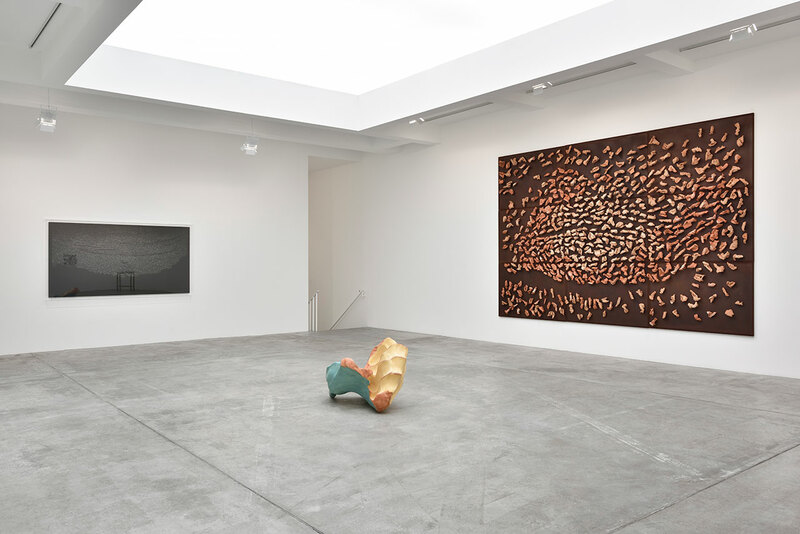 Installation view from Marian Goodman Gallery Paris (Lower Gallery). Courtesy the artist and Marian Goodman Gallery. 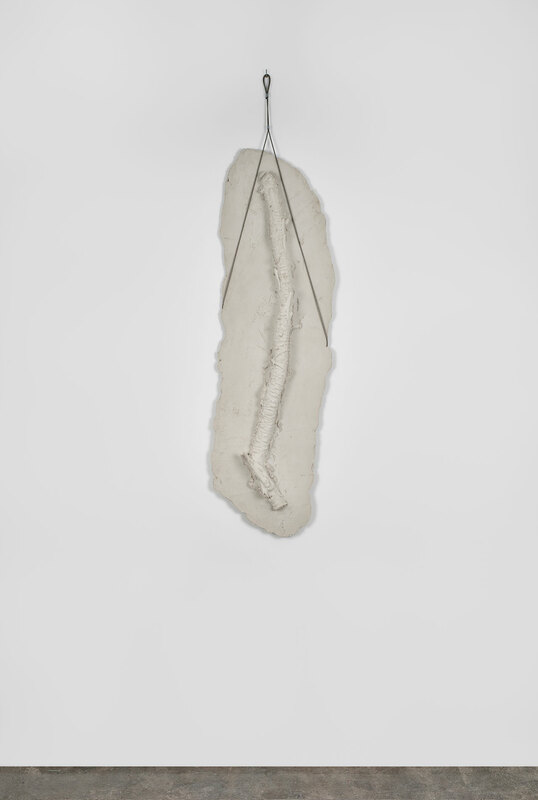 Giuseppe Penone, Germinazione (Germination) , 2005. Resin, stainless steel, 64 15/16 x 25 9/16 x 8 5/8 in. (165 x 65 x 22 cm). Edition of 2. Photo by Rebecca Fanuele. Courtesy the artist and Marian Goodman Gallery. Metal structure: 34 13/16 in. (88.5 x 60 x 60 cm). Photo by Rebecca Fanuele. Courtesy the artist and Marian Goodman Gallery. 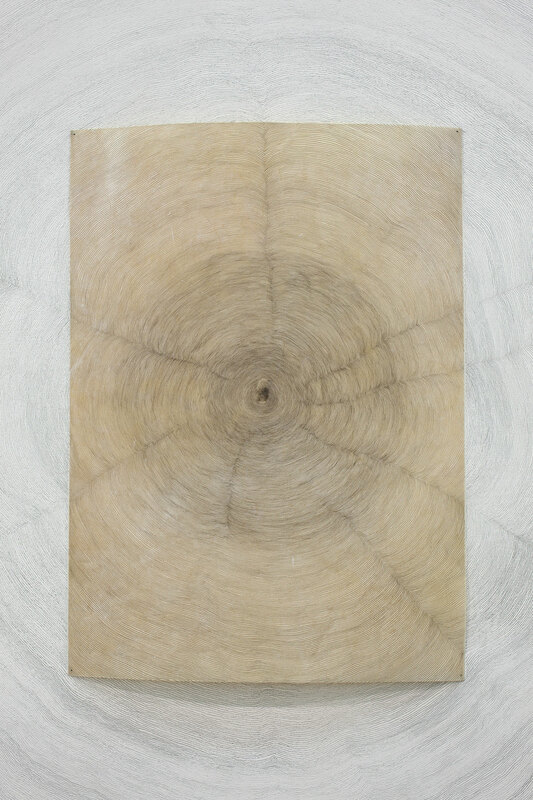 Giuseppe Penone, Germinazione (Germination) , 2005. Resin, stainless steel, 76 3/4 x 24 3/4 x 9 13/16 in. (195 x 63 x 25 cm). Edition of 2. Photo by Rebecca Fanuele. Courtesy the artist and Marian Goodman Gallery. 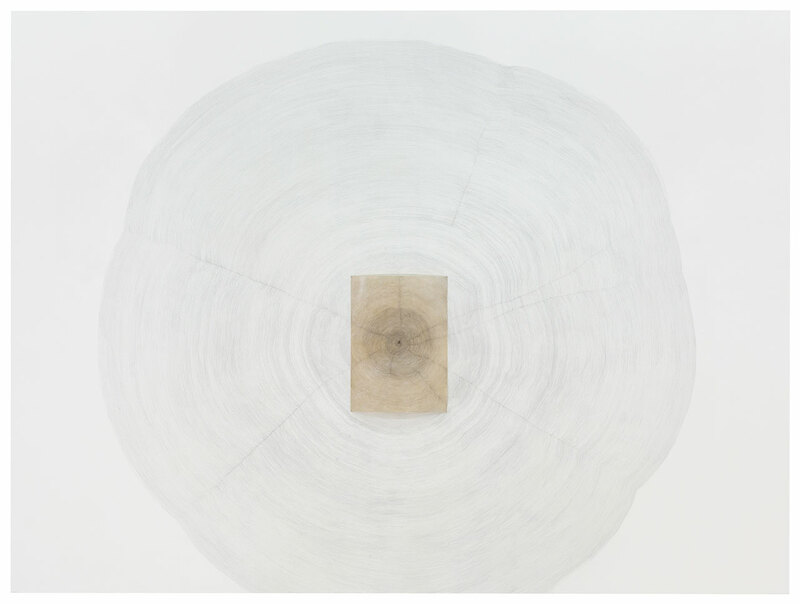 Giuseppe Penone, Germinazione (Germination) , 2005. Resin, stainless steel, 65 5/16 x 18 7/8 x 6 1/4 in. (166 x 48 x 16 cm). Photo by Rebecca Fanuele. Courtesy the artist and Marian Goodman Gallery.